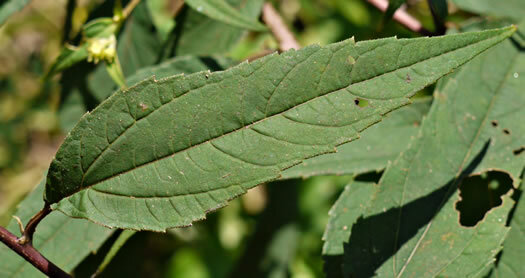 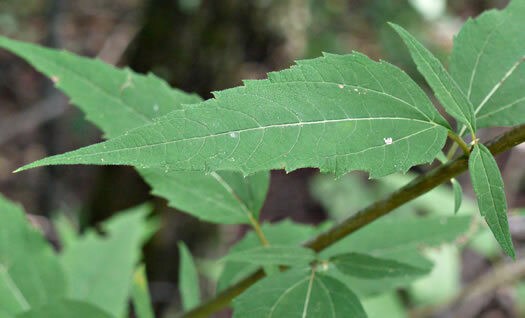 Leaves pubescent beneath, at least on the midrib, per Vascular Flora of the Carolinas. 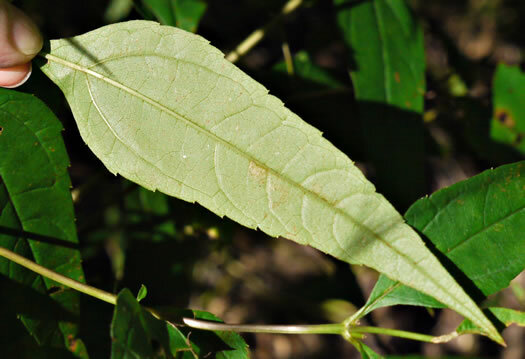 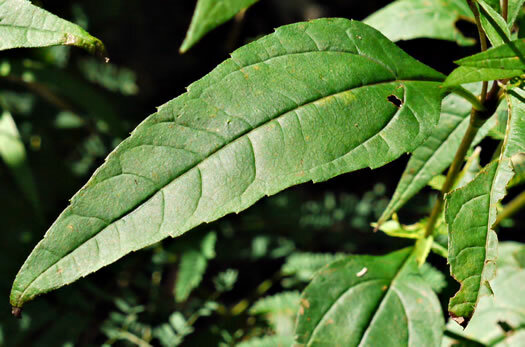 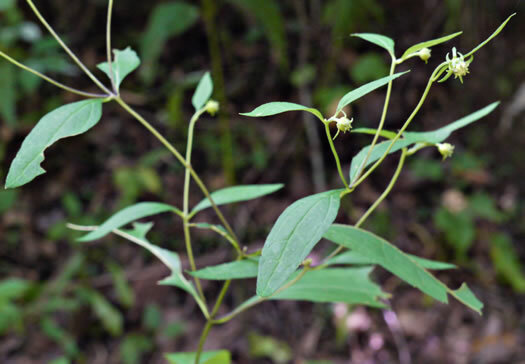 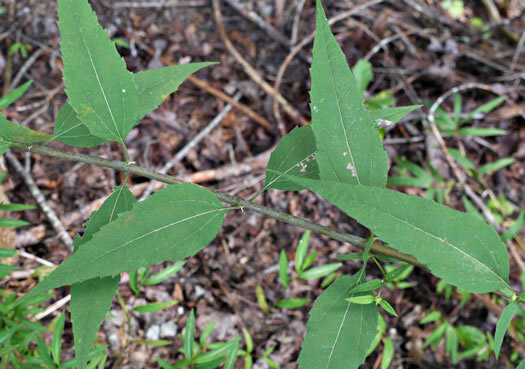 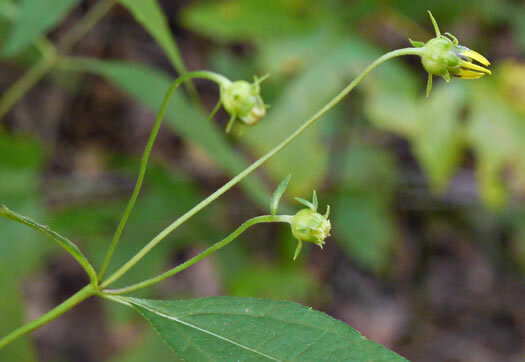 Leaves mostly scabrous above, resin-dotted, abruptly narrowed to a petiole, per Wildflowers of Tennessee, the Ohio Valley, and the Southern Appalachians. 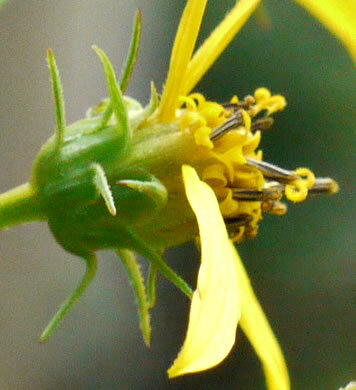 Involucre body 6-13mm broad, per Vascular Flora of the Carolinas. 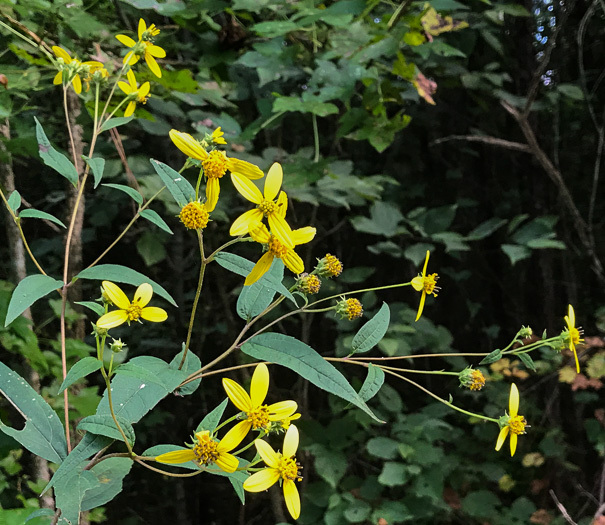 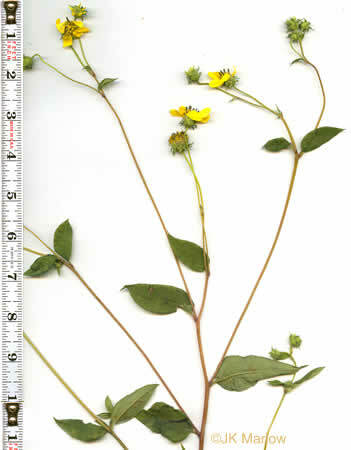 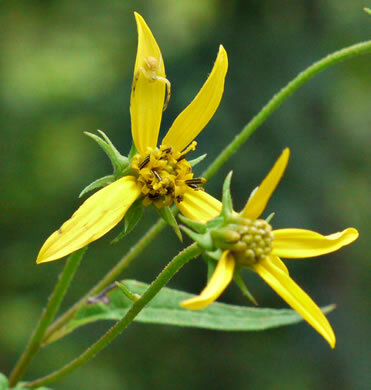 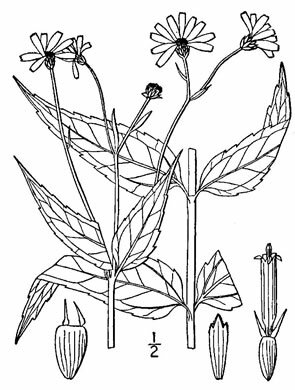 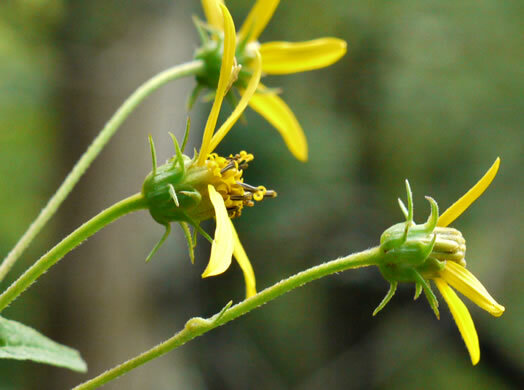 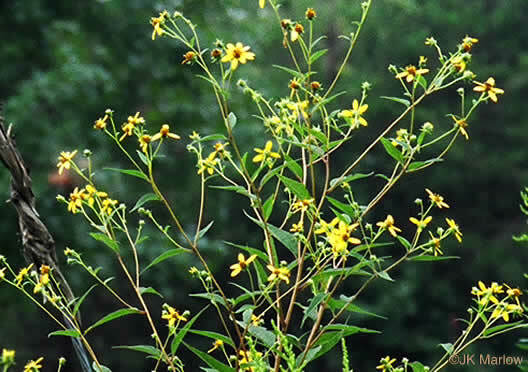 Heads small, with 5-8 ray flowers, numerous, on long slender stalks, per Wildflowers of Tennessee, the Ohio Valley, and the Southern Appalachians.